The Grand Bohemian piano embodies the seamless integration of traditional piano craftsmanship with magnificent design. Not only is this instrument a reflection of Bösendorfer’s unlimited potential in design and craftsmanship, it is also a magnificent work of art. 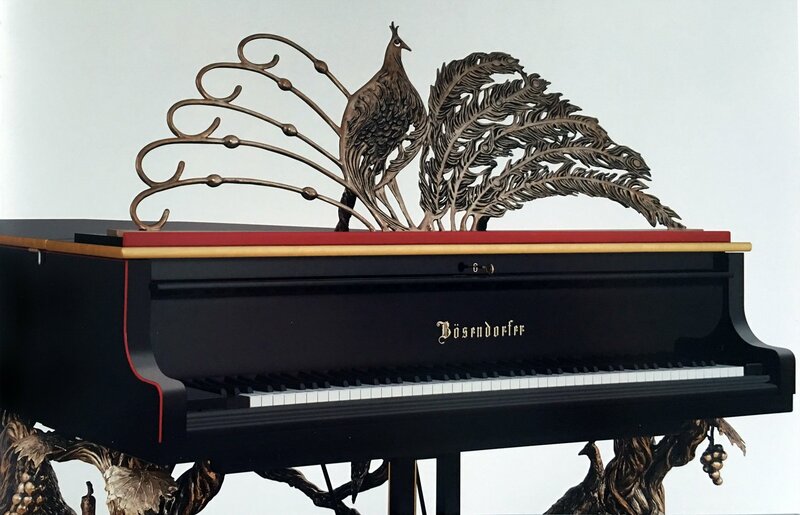 To find inspiration for this new piano, Bösendorfer worked with entrepreneur Richard Kessler—owner of the highly-acclaimed Grand Bohemian boutique hotels and a passionate art collector—resulting in a design that is as unique and grand as Kessler’s Bohemian brand. 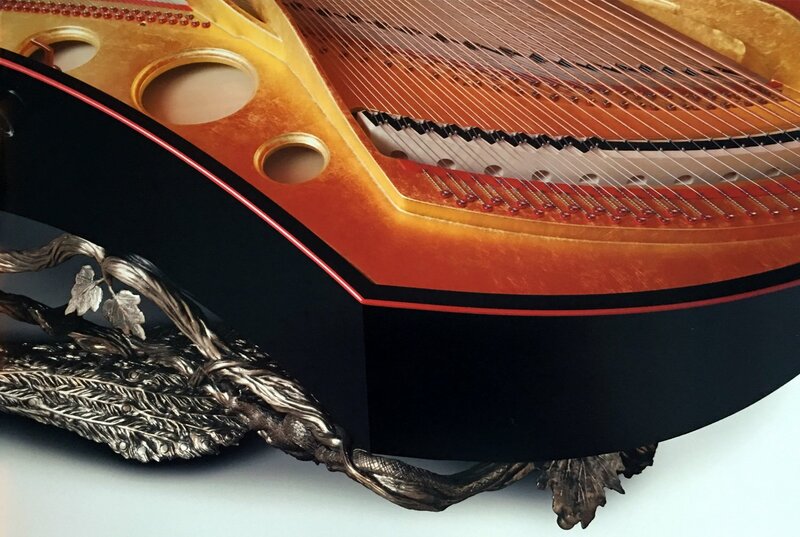 As an established connoisseur and collector of art, Kessler, along with international artist Franco Castelluccio, played an integral role in the realization of this dream piano. 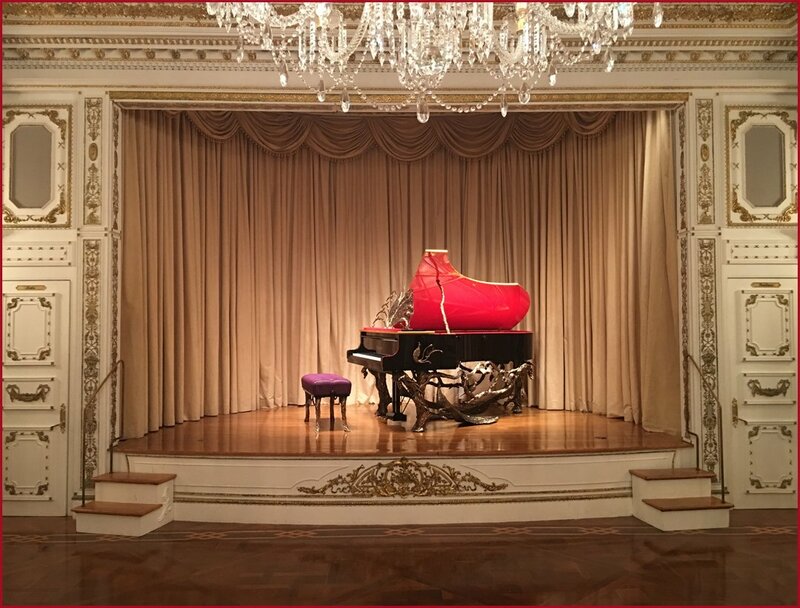 The Kessler Collection is passionately invested in art and music, as in Bösendorfer, so it is no surprise that the end result is as much a work of art as it is a musical instrument. 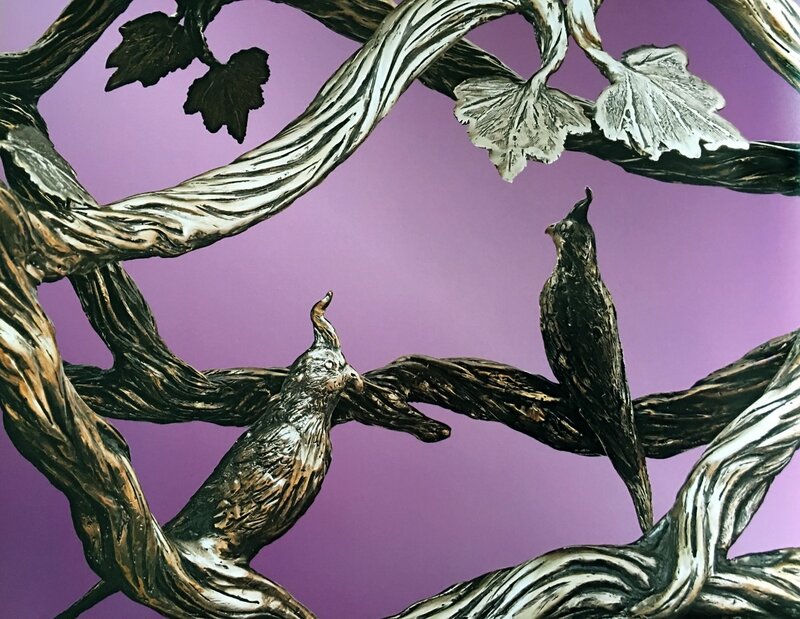 The design for the Grand Bohemian was inspired by pieces from Kessler’s personal collection, including a painting of a peacock and a special collection of bronze sculptures. 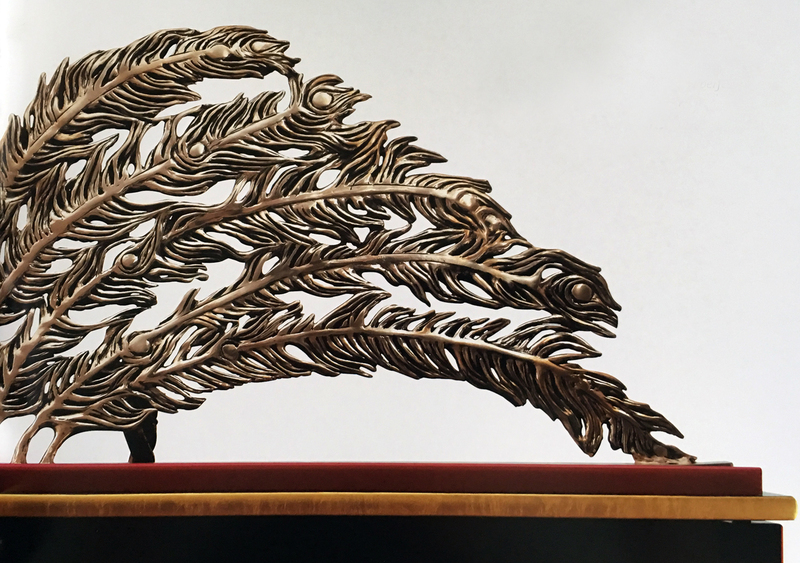 Fascinated by the beauty and elegance of the peacock, and the ideal use of bronze for the base of the piano, Kessler selected these themes and works of art to cultivate inspiration for the design. 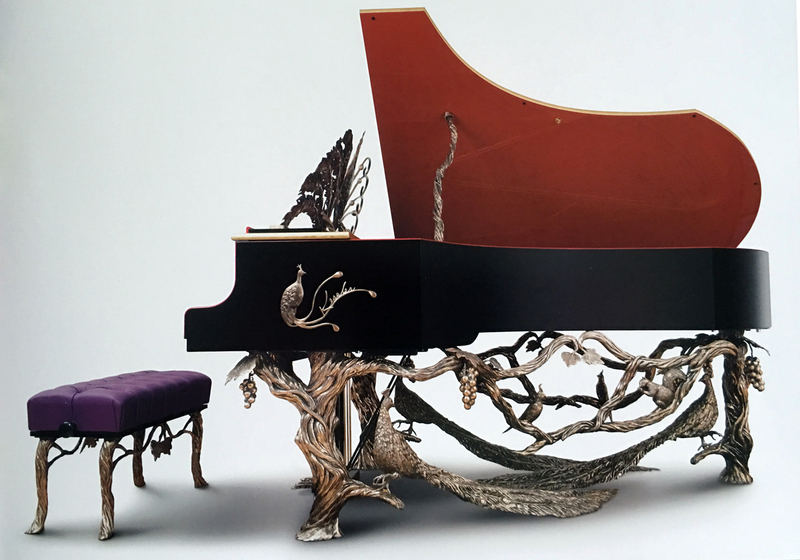 Exuding an opulent, classic-contemporary design, the Grand Bohemian piano would look at home in a mythical forest as it would in an art museum or luxury penthouse. 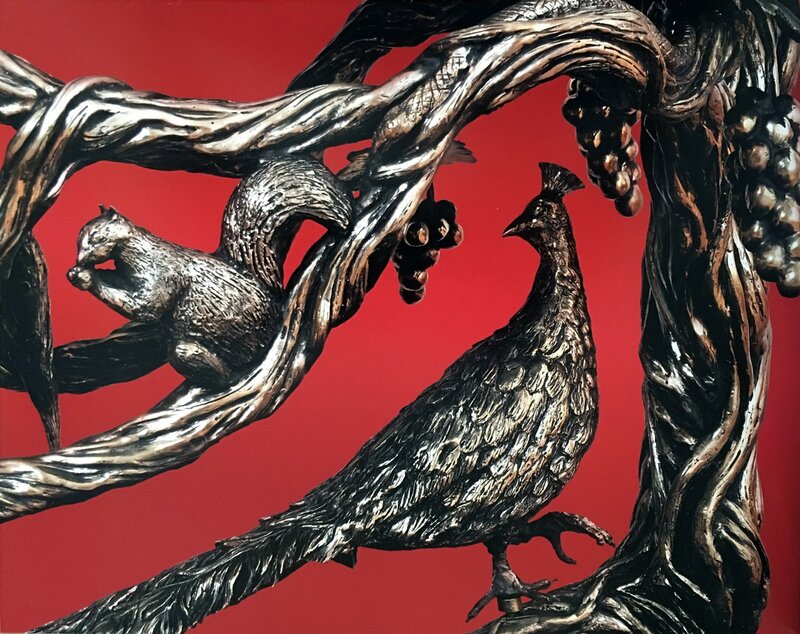 With a bronze cast base of sculpted tree branches adorned with woodland creatures and a majestic peacock with feathers unfurled for the music stand, this piano is unlike any other in elegance and opulence. 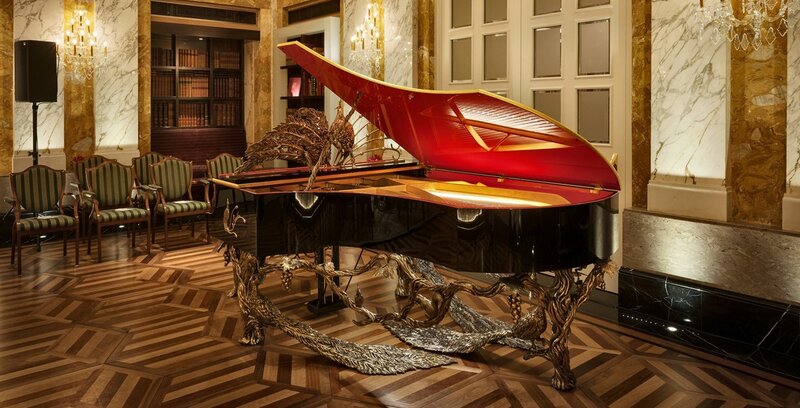 In addition, the entire piano frame has been meticulously covered by hand with 23-karat gold leaf and includes carefully placed LED lighting giving the piano an otherworldly glow—an appropriate finishing touch for such a grand instrument. The Grand Bohemian supersedes the expectations of customary piano design, while maintaining the tradition, high-quality and exclusivity expected from Bösendorfer. 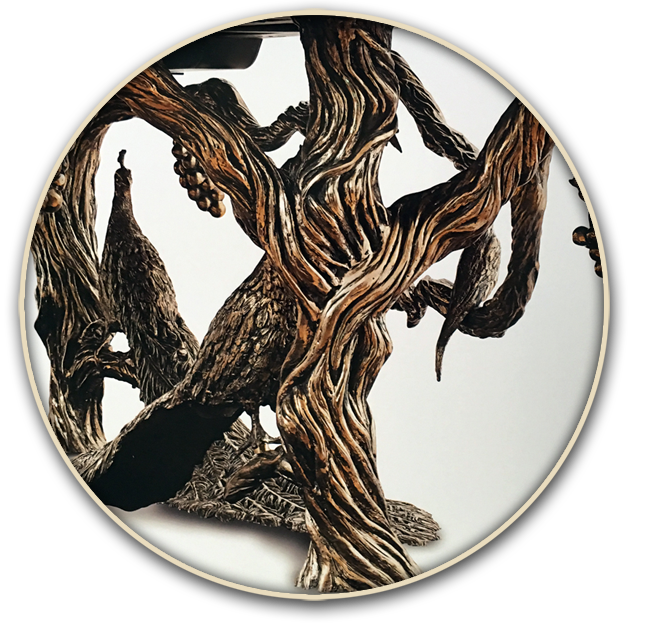 Limited to nine instruments worldwide, this one-of-a-kind masterpiece will be enjoyed by musicians and art aficionados alike.